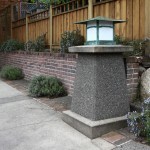 Sand aggregate, with exposed aggregate borders and brick inlay driveway. Mike McKee’s show his gift by pulling the elements together with a lamppost. Banyan Tree Landscape proud to provide Ashland, Medford and Jacksonville with custom concrete installation. Drawing on award winning Miles Carter’s 30 years of experience and Banyan Tree’s team of 2nd and 3rd generation masons we are the right choice for your concrete and masonry needs. 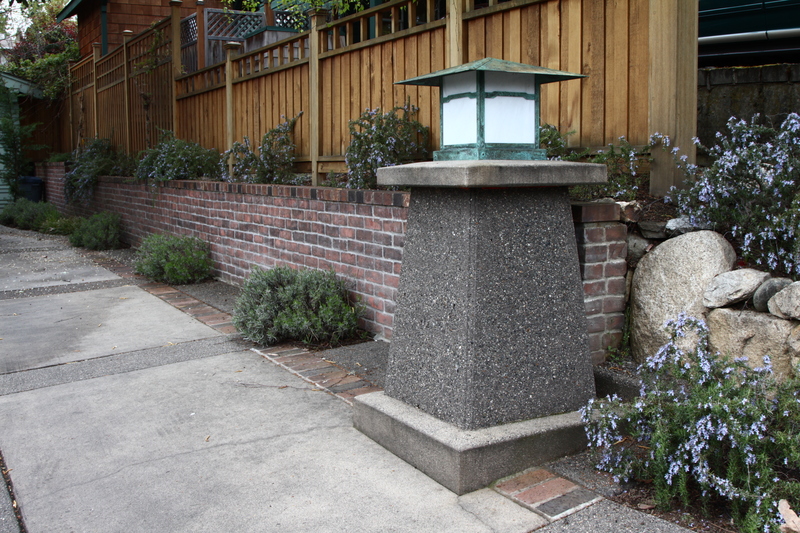 From patios, walkways, and retaining walls to custom features as seen the lamp post we are prepared to beautify your home whilel adding function and purpose. Banyan Tree Landscape worked with Miles over the last 5 years on numerous projects and glad to make him one of our team. We are excited to expand our projects to fully actualize the talents of our crew. Backed by Juan Carlos Garcia and his cuando Mario, a team with some of Ashland and Medford’s finest masonry projects under their belts. Our expansion into concrete work is a natural step and with the team in place the projects are lining up.